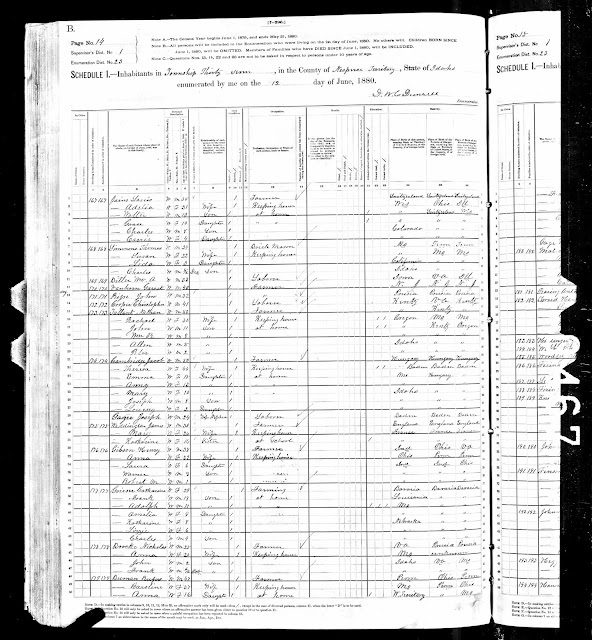 1880 United States Federal Census, Nez Perce County, Idaho, population schedule, Township 37, ED 23, Page 246B, dwelling #177, family #177, Catherine Grieser household, digital image, Ancestry.com (http://www.ancestry.com : accessed 12 June 2017); citing National Archives Microfilm Publication T9, Roll No. 173. 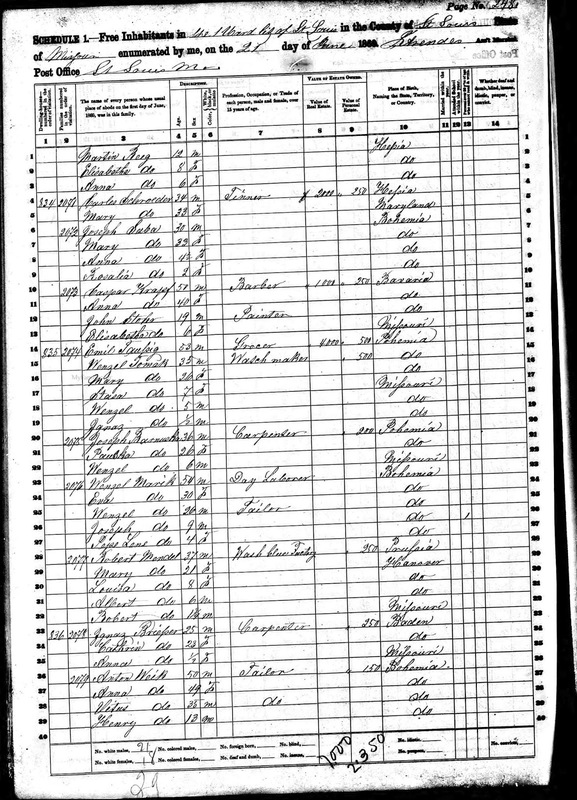 Ignatz Grieser and Katherine Gute were married in St. Louis in 1858, and Ignatz died in 1879 in Nez Perce County, Idaho. They had seven living children at the time of the 1880 U.S. Census, the six in this record and the first child, Anna (Grieser) Brocke, who married John Nicholas Brocke in 1877. 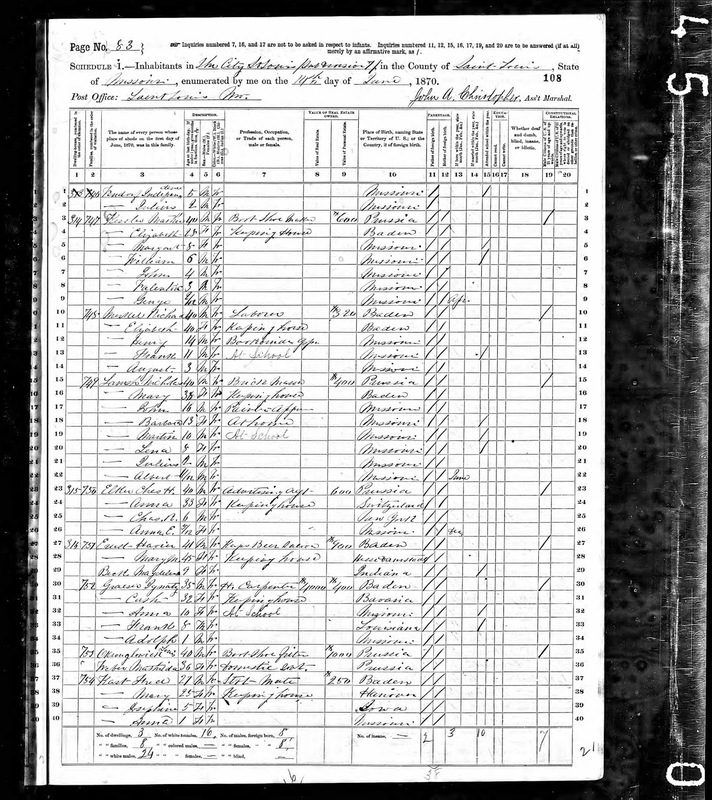 The Brocke family is the next family on the census page. Ignatz and Katherine (Gute) Grieser are my wife's second great-grandparents, through their eldest child, Anna Grieser (1859-1936), who married John Nicholas Brocke (1853-1938) in 1877.